(4/17-4/24) Looking for what to do in New York? We've got the latest on all the goings-on in NYC this week, from concerts to museum exhibitions to comedy to the best in city sightseeing. Read on for our picks for the best of this week in New York City. 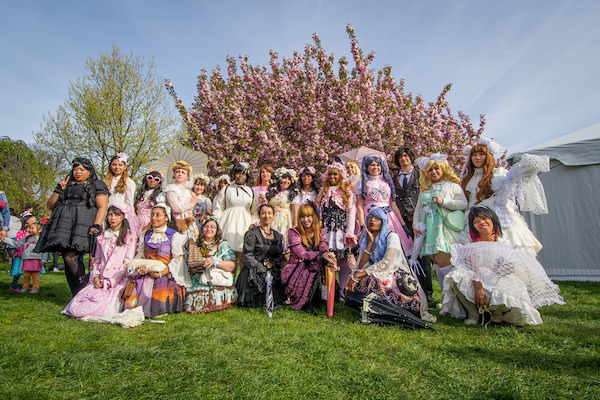 (4/21) Easter in New York brings egg hunts, fine brunches, and a bonnet-filled procession down Fifth Avenue that's been a city tradition for nearly a century and a half. Celebrate the holiday in true New York fashion with a trip to the Easter Parade. The tradition dates all the way back to the 1870s, when upper class New Yorkers would stroll down Fifth Avenue after church and show off the fashionable new outfits they’d purchased for the holiday. 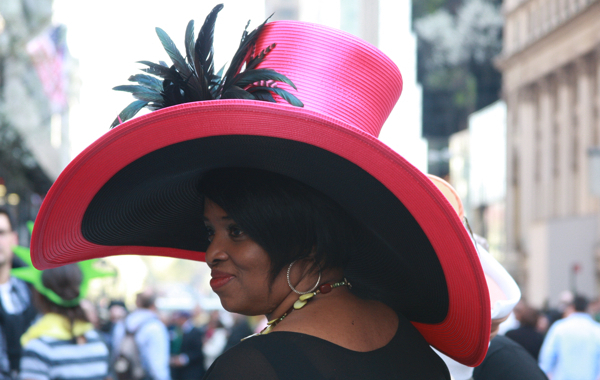 Traffic shuts down for the parade on Fifth Avenue between 49th and 57th Streets from 10am to 4pm on Easter Sunday, letting festive parade-goers fill the streets in their elaborate Easter finest. There's still time to make reservations! 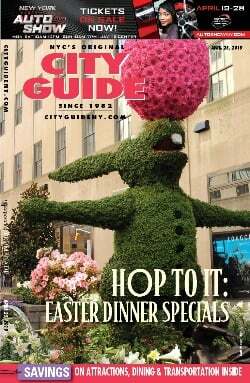 Explore your options with The Best Places for Easter Dinner in NYC. (4/21) One of New York’s most spectacular experiences is getting out on the water. Hop aboard the all-glass Bateaux New York for a Hudson River spin, with a Bottomless Mimosa Easter Brunch or an Easter Dinner Cruise. 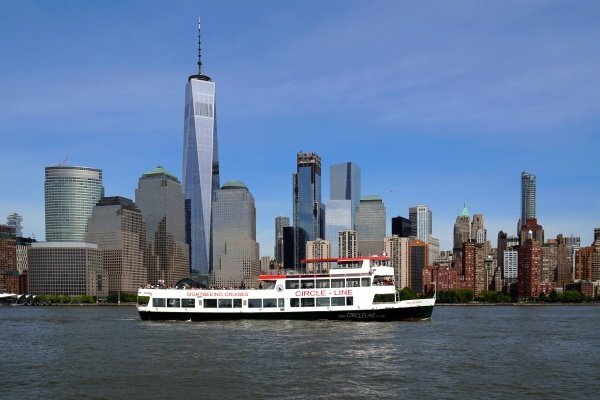 Enjoy the harbor and incredible skyline views aboard NYC’s most luxurious cruising vessel. Both outings will feature plated meals and live music. 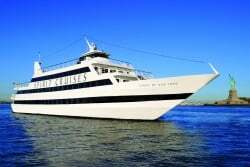 Or jump on Spirit Cruises for both Easter Sunday Brunch and Sunday Dinner rides, featuring lush buffets, DJs, and a special appearance from the Easter Bunny on the brunch cruise. You can also take in unparalleled city views aboard one of Hornblower Cruises & Events’ breathtaking sightseeing cruises. 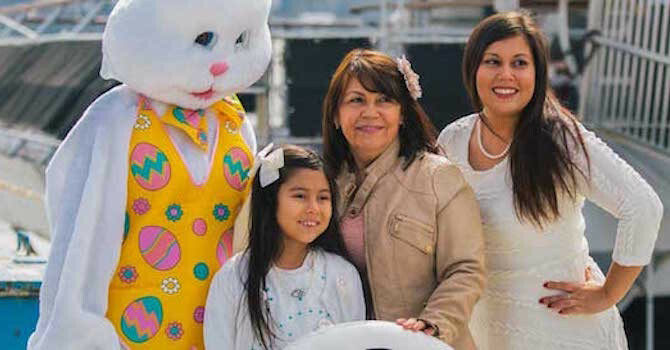 This Easter, Hornblower’s two-hour afternoon cruise features a brunch buffet, free-flowing mimosas, a live jazz band, a dessert station, reserved seating, an on-board Easter egg hunt, and even a special visit from the Easter Bunny. 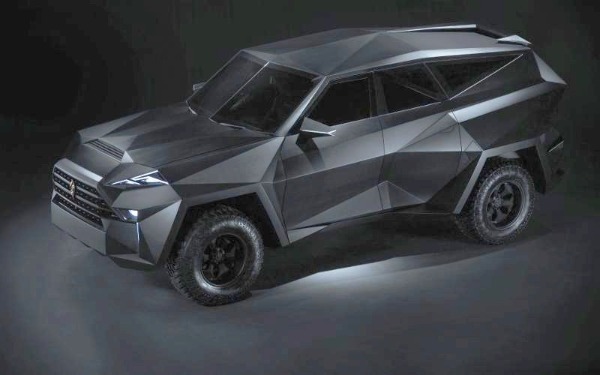 Karlmann King is the world's most expensive SUV, with a price tag of $2.3 million. (4/21) Every Sunday on the Upper West Side you can check out Grand Bazaar NYC, the city’s largest curated market—and most distinctive! This Sunday, you’ll find the NYC Earth Day Bazaar, stocked with talented local artists, makers, and independent dealers who use recycled materials creatively to make incredible jewelry, fashion, furniture, art, and home accessories. Sustainable and fair-trade materials are also here for locally made beauty and skincare products, clothing, and gifts for kids. Artisanal foods, too! 10am-5:20pm. Click here for more suggestions on How Celebrate Earth Day in NYC. (4/23) Chef's Studio Tasting Menu & Wine Pairing. The new David Burke Tavern Chef’s Studio will host a five-course chef’s tasting menu, paired with sparkling, white, and red wines, and Armagnac N5. 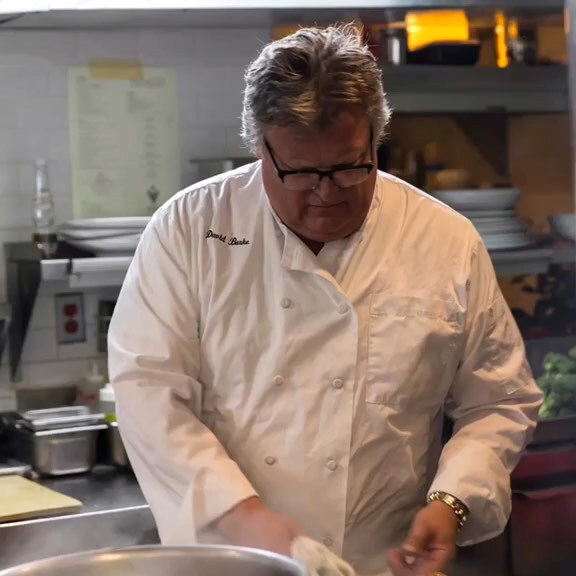 Chef David Burke and Chef Carmine will surprise and delight with innovative tasting and pairing menus featuring seasonly fresh market ingredients. 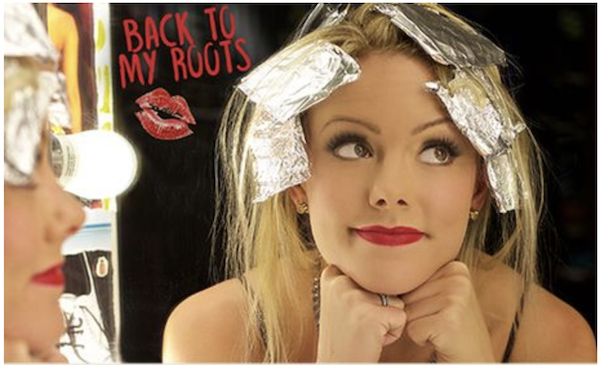 (4/22) Currently starring as Karen Smith in Mean Girls on Broadway, Kate Rockwell’s debut solo album Back to My Roots takes listeners to the “second Golden Age” of Broadway musicals. 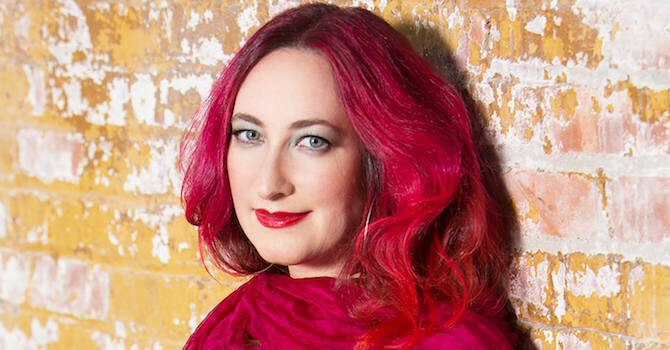 Follow Kate to The Loft at City Winery, where she presents songs by Stephen Sondheim, Andrew Lloyd Webber, and the shows that inspired her to leave behind the sane, stable world of “normal” professions and follow her passion to the Great White (Blonde) Way. Kate Rockwell: Back to My Roots. (Ongoing) Hudson Yards is open! Learn more about New York's newest neighborhood, a mix of residential, retail, and office space, with tons of new restaurants in Midtown West near the Hudson. Plus take a walk up NYC's newest iconic sculpture, The Vessel. 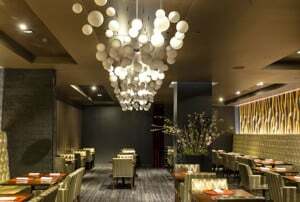 Learn about 6 Restaurants to Try at Hudson Yards here. (Now open!) 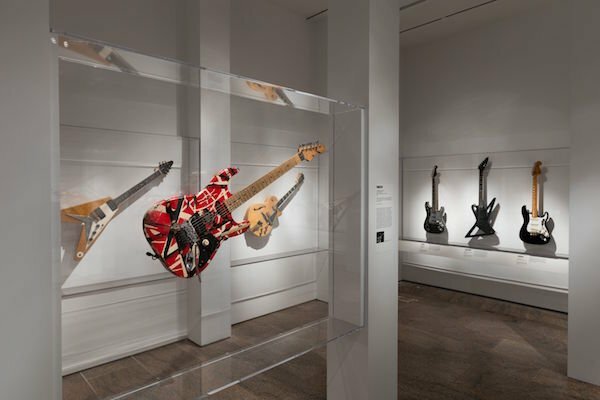 Play It Loud: Instruments of Rock & Roll opens to the public at the Metropolitan Museum of Art. 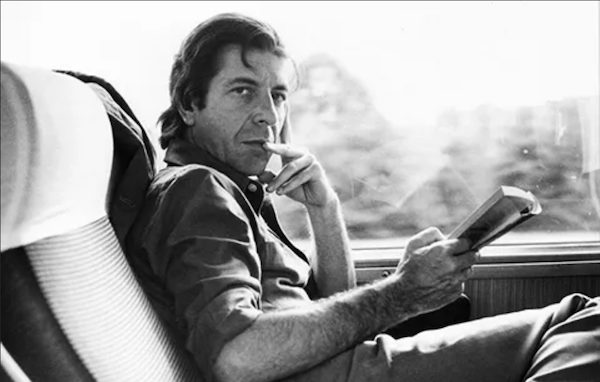 (Now-9/8) Leonard Cohen: A Crack in Everything at The Jewish Museum is the first exhibition entirely devoted to the legacy of the influential singer/songwriter, man of letters, and global icon from Montreal. The exhibition includes commissioned works by international artists inspired by Cohen’s style and themes, a video projection showcasing Cohen’s own drawings, and an innovative multimedia gallery where visitors can hear covers of Cohen’s songs by musicians like Lou Doillon, Feist, Moby, and The National with Sufjan Stevens, Ragnar Kjartansson, and Richard Reed Parry. 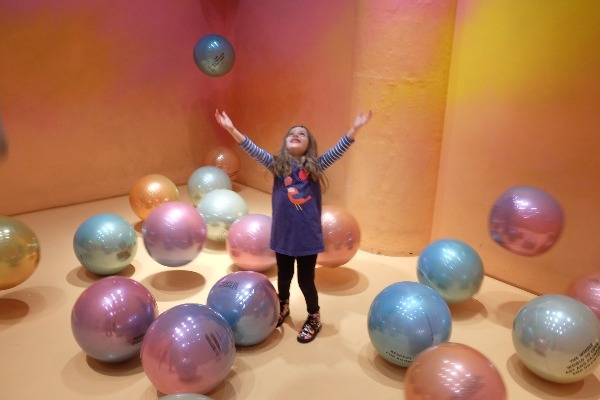 (4/20-4/21, 4/26-4/27) For Passover, the Jewish Museum is offering Free Admission Days. 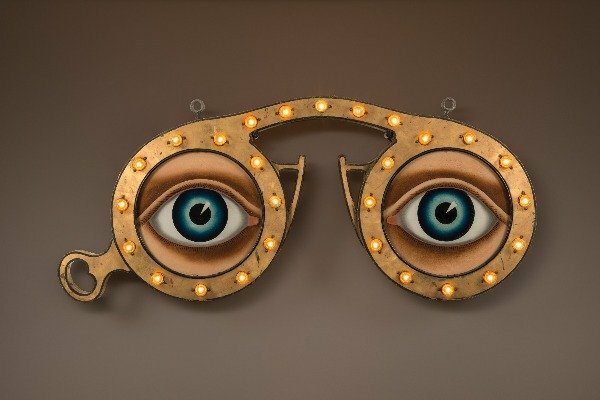 Optician’s Trade Sign, E. G. Washburne & Co. 207 Fulton Street, New York City, c. 1915. Paint and gold leaf on zinc and iron, with glass and light bulbs 26 x 54 x 4”. Collection of Penny and Allan Katz. Photo by Gavin Ashworth, New York. (New!) Folk art may seem like something that flourishes best in isolated areas, but it’s been a vibrant tradition in the heart of New York City for centuries. In fact, many objects associated with the heartland were originally manufactured by artisans here. A new show at the American Folk Art Museum, Made in New York City: The Business of Folk Art, uses some 100 works by self-taught artists to tell the story of how New York became the commercial and financial capital of the country, as seen through the lens of the folk art that was made here. From stoneware cast in the West Village to advertising figures made on Canal Street to weathervanes forged in the Bronx to carousel animals carved on Coney Island, see how New York City was the center of it all. (New!) T. rex: The Ultimate Predator is now open at the American Museum of Natural History. Visitors encounter a massive, life-sized model of a T. rex with patches of feathers—as well as reconstructions of a fluffy T. rex hatchling and a four-year-old juvenile T. rex; and a “roar mixer” where visitors can imagine what T. rex might have sounded like by blending sounds from other animals. The museum is also presenting its first interactive, multi-player virtual reality experience. J. R. R. Tolkien (1892–1973), Dust jacket design for The Hobbit [April 1937], pencil, black ink, watercolor, goache. Bodleian Libraries, MS. Tolkien Drawings 32. © The Tolkien Estate Limited 1937. (Now-5/12) “In a hole in the ground there lived a hobbit.” With these words Oxford professor J.R.R. Tolkien ignited a spark that's burned for generations of readers. From the children’s classic The Hobbit to the epic The Lord of the Rings, Tolkien’s tales of hobbits and elves, dwarves and wizards have introduced millions to Middle-earth, a world that Tolkien populated with creatures, languages, and histories. 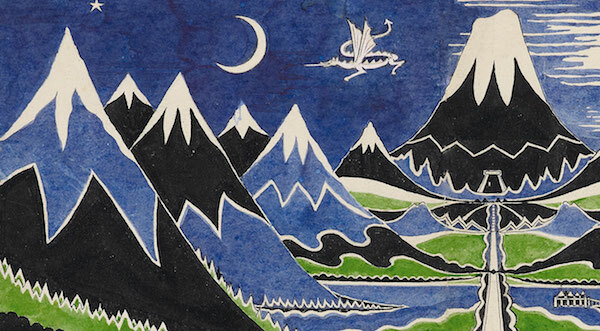 Tolkien: Maker of Middle-earth at the Morgan Library & Museum is the most extensive public display of original Tolkien material in decades, stocked with family photographs and memorabilia, maps, draft manuscripts, and Tolkien’s original illustrations. (Through 5/12) Mexican painter Frida Kahlo (1907-1954) lived and worked in a manner which challenged the political, social, and sexual norms of her era. Kahlo held her national identity dear and used traditional Mexican dress as a fixture of her public persona. Her large body of self-portraits created a mythos of self (some say she invented the selfie). 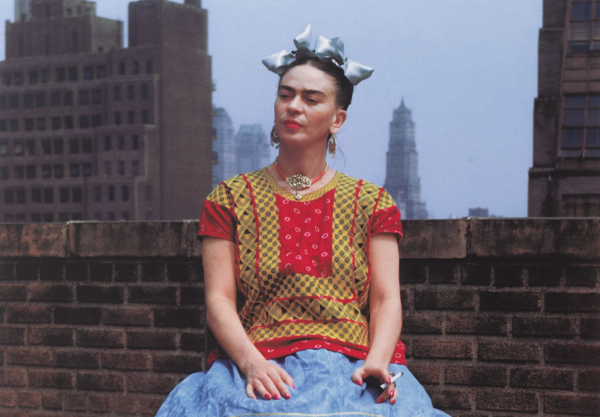 New at the Brooklyn Museum is Frida Kahlo: Appearances Can Be Deceiving, a lush exhibition that shows off Kahlo’s art, in addition to personal artifacts like her cosmetics, letters, jewelry, and clothing. Additional context is provided by items from the museum’s Arts of the Americas collection, including Aztec sculptures, ceramics made in Guadalajara in the early 20th century, and an ancient Colima dog sculpture of a Xoloitzcuintli, a Mexican hairless dog that Kahlo had an affinity for. (New!) 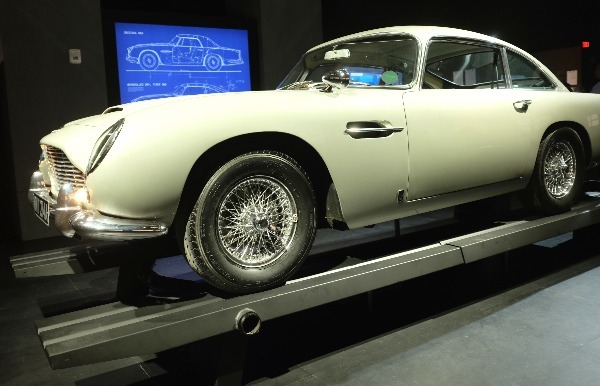 You can experience the world of history’s most famous spy at 007 x SPYSCAPE: Driven, a brand-new exhibition inside New York’s spy museum, SPYSCAPE. This immersive exhibition brings you into the Bond universe with sets, props, and insights about the creation of the ageless secret agent. Among the highlights: an Aston Martin DB5, the lab of Quartermaster (or Q), M16’s gadget master, concept art from Oscar-winning production designer Sir Ken Adams, and an exploration of 2012 Bond film Skyfall’s unforgettable final scene. (Now-4/23) Final week! Before abstract art was a speck in Kandinsky’s eye, the painter Hilma af Klint (1862-1944) was pioneering non-representational painting in Sweden. A spiritualist who claimed to communicate with the dead, af Klint worked in near-obscurity, forbidding her paintings to receive public exposure until 20 years after her passing. 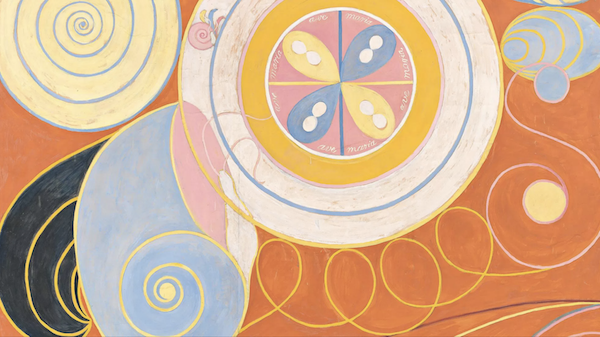 Discover Hilma af Klint, a woman before her time, at the Solomon R. Guggenheim Museum exhibition Hilma af Klint: Paintings for the Future. Over 170 of af Klint’s non-figurative paintings are on display, richly colored and often staggering in scale. Many pieces play with geometry and floral shapes that seem to swim across the canvas. As af Klint worked on her series The Paintings for the Temple, she envisioned a spiral temple as their eventual home. She got her wish over a century later with this eye-opening exhibition at the Guggenheim. Note: to celebrate the final days of the exhibition the museum will be open until 8pm starting Friday, April 19 through Tuesday, April 23. (Now-7/10) Photographer Robert Mapplethorpe, who died 30 years ago of complications from AIDS, is the subject of Implicit Tensions: Mapplethorpe Now, now displaying the first installment of a two-part retrospective at The Solomon R. Guggenheim Museum. Mapplethorpe is known not just for his images, but for the controversies they incited. In 1989, after his death, his work became the centerpiece of a national debate about artistic censorship and what kinds of works public funds should cover (ironically, it was the debate that led to his widespread fame). Many of the images are graphic and retain the ability to cause discomfort, but time has lessened the shock; it has also brought to the forefront Mapplethorpe’s technical proficiency and his ability to capture deeply insightful looks at his subjects. (Ongoing) Sports in America provided a unique form of solace after the seismic losses of the terrorist attacks of September 11th, 2001. Comeback Season: Sports After 9/11, a special exhibition at the National September 11 Memorial & Museum, delves into uplifting moments at games in the aftermath of the attacks. Explore the stories of Mike Piazza’s home run during a New York Mets home game, President George W. Bush’s first pitch at a World Series game at Yankee Stadium, and the New York City Marathon on November 4th, 2001. Video, artifacts, and moving images help provide context for a nation coming back together. Open Monday. 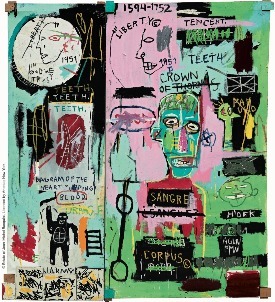 (Now-5/15) Jean-Michel Basquiat at The Brant Foundation Art Study Center in the East Village. Eighties it-painter Jean-Michel Basquiat, a Brooklyn product, created passionate, bold street art and canvases. He died at only 28. Organized in collaboration with the Fondation Louis Vuitton and curated by Brant Foundation founder Peter M. Brant and Dr. Dieter Buchhart, the inaugural exhibition will bring together Basquiat’s most important masterworks from the Brant Collections joined by contributions from international museums and private collections. No walk ins. Get tickets here (FREE). Note: there is a waitlist. (4/19-4/20) Lynne Koplitz at Gotham Comedy Club, featuring Angelo Lozada and KP Burke. (4/19-4/20) Ahmed Ahmed of Comedy Central's Asia's Stand Up Asia at Carolines. (Ongoing) Check out great comedic talent every night at Broadway Comedy Club! Use our coupon and pay only $5 for admission! Click here for more comedy shows in NYC this weekend. (4/19-11/3) Kids of all ages will want to check out the new Bronx Zoo Dinosaur Safari. It's the biggest, most realistic dinosaur safari ride in America. Travel back in time on a guided tour to learn about dinos of the past and descendent animals of the present. The experience will take riders through 2 acres of woods, in which they will meet animatronic dinosaurs, including two 40-foot-long T. rexes, a 60-foot-long herbivore called Omeisaurus, and the Spinosaurus, one of the largest carnivorous dinosaurs to ever exist. 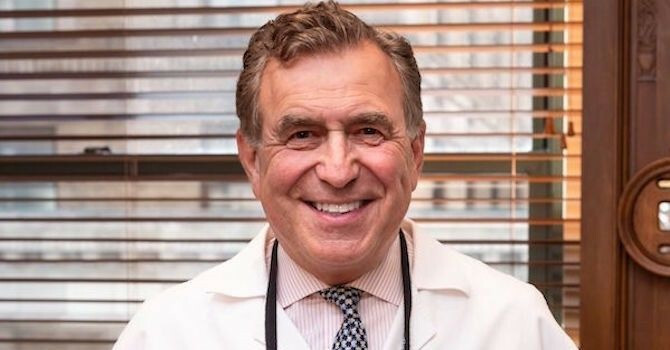 (4/20) Creative Passover Seder Dinner at the 92Y. Enjoy a community meal at 92Y as they celebrate Passover during their annual Creative Family Passover Seder dinner. The whole family is welcome to watch first-hand as they recreate ancient traditions through songs and stories, followed by a traditional meal (all kosher and nut-free with veggie options available). 4:30pm. $75 , adults; kids three and up, $55; kids two and under, $30. Read about more Instagrammable pop-up exhibits in NYC here. (Now-5/5) Bionic Me at the NY Hall of Science. With hands-on displays and full-body experiences, this exhibition explores the inventive and ingenious medical and industrial breakthroughs that have helped enhance the human experience. Visitors can move a ball with their mind, manipulate a robot arm, race against a Paralympian, use night vision to see in the dark, and explore how technology can provide camouflage and make you invisible. (4/20-4/21) Family Bowl at Brooklyn Bowl, 11am-5pm. Every Saturday and Sunday. No cover. (Ongoing) A 7D experience at Madame Tussauds New York, Mission: Undead, tasks you with killing more zombies than your friends! Prevent the zombie apocalypse and survive your first night of work on the force at this state-of-the-art Times Square attraction (13+). (Ongoing) Exhilarating Family Fun at Stomp NYC. Special discount packages available! Click here for more events to do with kids this weekend. For even more kids activities, learn more about the brand new Bronx Zoo Dinosaur Safari, check out our sister site nymetroparents.com! (Ongoing) The New York Yankees are back! Game tickets may be scarce, but it’s easy to get the full stadium experience with Yankee Stadium Tours, which offers exclusive access to historic spots like Monument Park, The Great Hall, and even down to the dugout. The daily tours also bring you close to baseball artifacts like Babe Ruth’s bat, Lou Gehrig’s jersey, and rings and trophies representing the Yankees’ 27 world championships. (Ongoing) Intrepid Sea, Air & Space Museum. 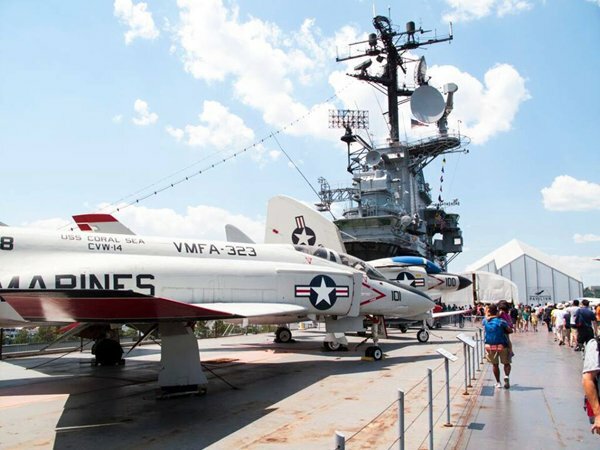 You can save $5 off general museum admission at this non-profit educational institution that features the legendary aircraft carrier Intrepid, the space shuttle Enterprise, the world's fastest jets, and a guided missile submarine. (Ongoing) Part show. Part tour. All entertainment. 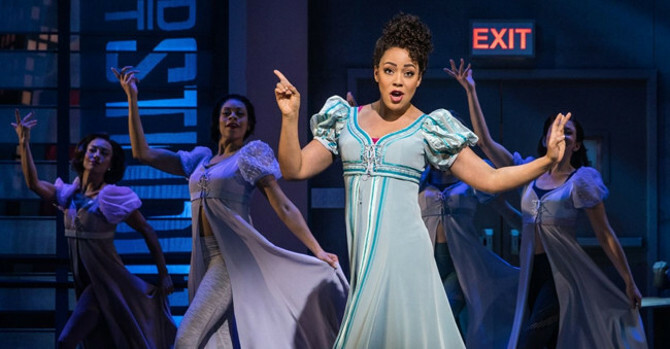 THE RIDE is a one-of-a-kind experience that turns the streets of New York into a stage. Journey through Times Square and midtown Manhattan as the city’s landmarks unfold before your very eyes. THE RIDE’s theatres-on-wheels also tour lower Manhattan, with THE DOWNTOWN EXPERIENCE Powered by THE RIDE, which lets visitors re-live iconic moments in New York history through the magic of TimeLooper Virtual Reality Headsets. Use our coupon and save $10 off! 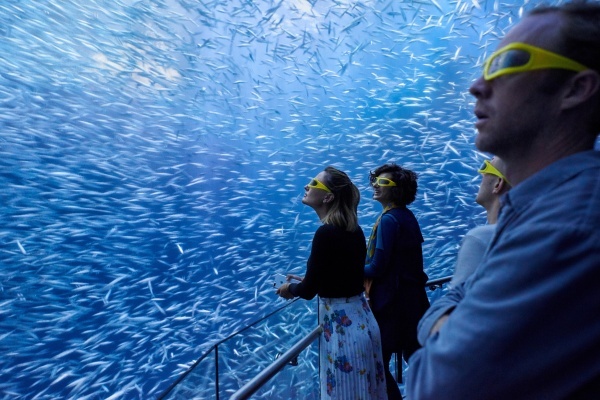 Immerse yourself in the deep, dark depths of the ocean, where Humboldt squid fight to the death, 50 foot whales ride overhead, play with sea lions, navigate a sea kelp maze and more at National Geographic Encounter: Ocean Odyssey! Here's a $10 off coupon! Bring a loved one to take in the breathtaking view at Top of the Rock. (Ongoing) The Rink at Rockefeller Center, the most famous patch of ice in the world, welcomes skaters for a very glamorous experience. (4/19, 4/20) Orchid Evenings at The New York Botanical Garden. Step into one of the world’s greenest cultures as "Supertrees" come alive around you, exhilarating with a display of lights and orchids after dark in the conservatory. Sip a Singapore Sling and purchase a bite to eat from the Bronx Night Market Pop-Up (while freestyle dancers and DJs perform throughout the night) and explore the kaleidoscope of orchid varieties from the “City in a Garden” and beyond. (4/16-4/17) Todd Rundgren: The Individualist Tour, stops at the Town Hall. Rock & Roll Hall of Fame nominee Todd Rundgren will be embarking on the world’s first hybrid concert/book tour this spring, highlighting both his hits and “deep tracks” spanning his 50-year career. (4/17) Spirtualized at Brooklyn Steel. (4/19) Fashion Puh-Leeze at The Slipper Room. Self proclaimed sartorialists (on a budget) and comedians Anna Roisman (HQ Words) and Maya Deshmukh (AZN Pop!) invite their comedian friends and fashion experts to discuss everyday lewks, seasonal trends, and award show styles viewed very far away from the red carpet. (4/20) Dream Theater: Distance Over Time Tour + 20 Years of Metropolis Part 2 at Radio City Music Hall. Click here for more nightlife in NYC this weekend. For information on LGBTQ nightlife, visit our brother site metrosource.com! Planning on being in New York in June for WorldPride? We've got all the WorldPride 2019 info you need right here. (4/24-5/5) The Tribeca Film Festival returns. Like what you see? Click here for more ideas on The Best Things to Do in April. We've got May covered, too! Want free advice on what to do and see in New York? Join our Facebook group Everything to Do NYC, a place for people to ask questions and get tips on how to make the most of the city.